Yet another St George’s Day celebration at the Pipe of Port in Southend. 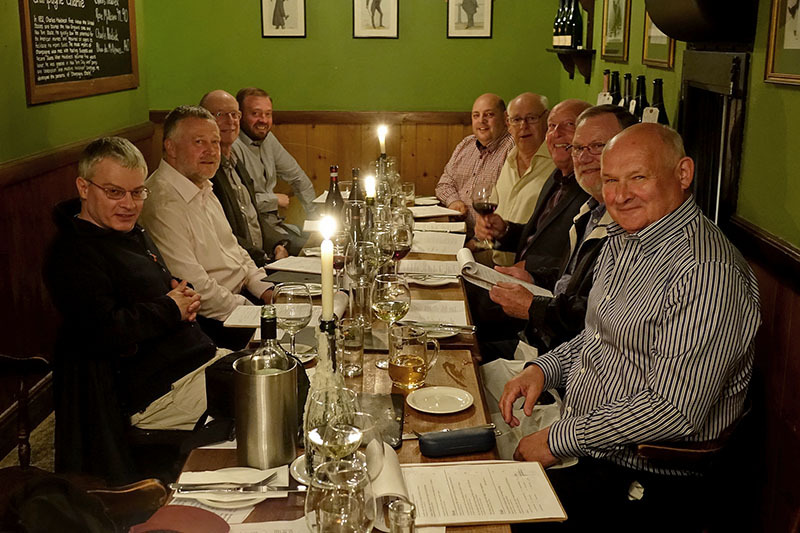 Every year, brethren from St Laurence make the trek out to Southend to sample fine wines and food at this great wine bar. Organised by W Bro Len West, the venue never fails to provide a friendly, atmospheric meeting place for our brethren. This year a dozen or so brethren and friends attended and a good time was had by all while raising money for our Almoner’s fund.